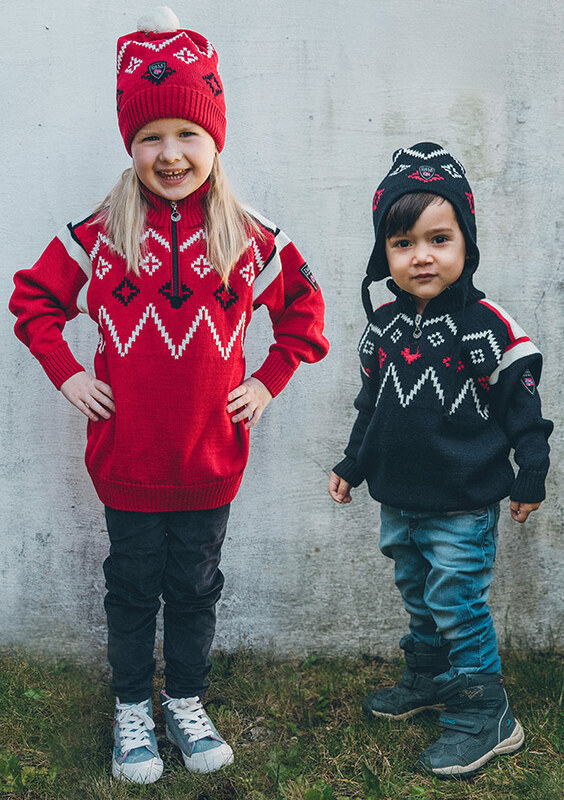 The kid’s version of the new official World Championship sweater for the Norwegian Cross Country team and Ski Association, made for the Nordic World Ski Championships 2019 in Seefeld, Austria. 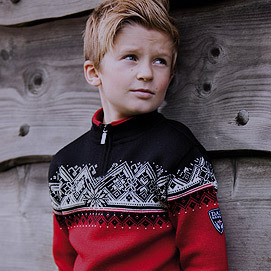 The sweater has a sporty retro-modern look with a crisp pattern symbolizing mountains and snow. 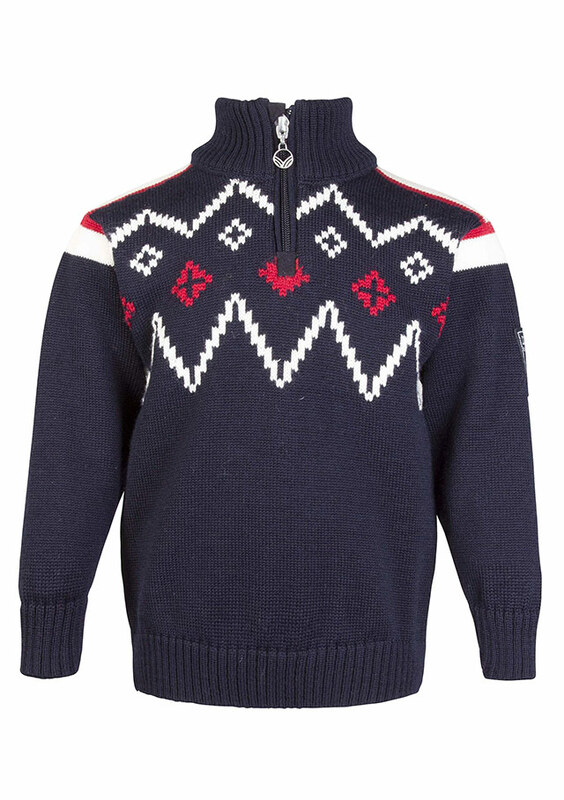 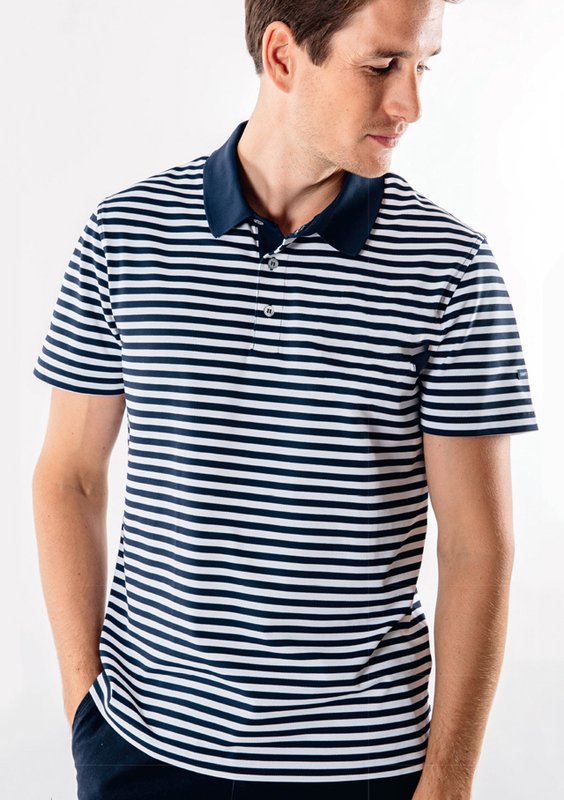 The high zippered neck has the Norwegian flag stripes inside. 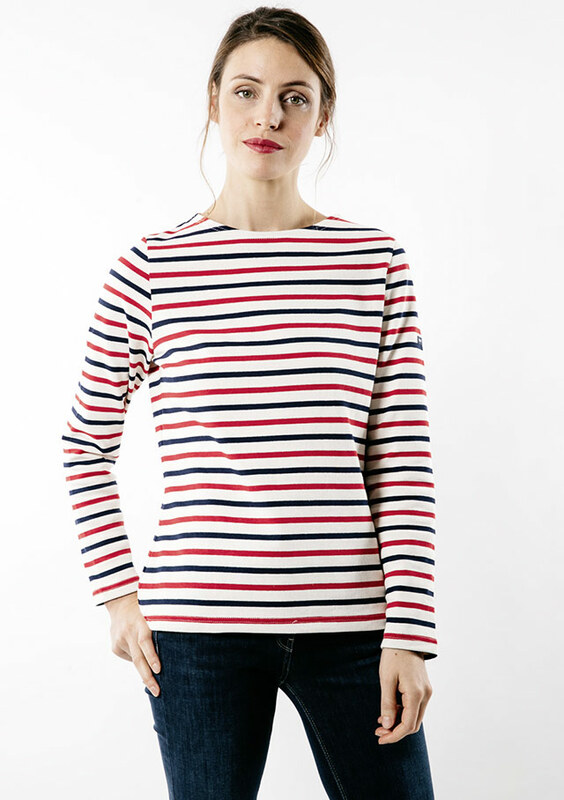 It is made of 100% skinsoft and lightweight Merino wool with a long-lasting quality due to advanced knitting techniques. 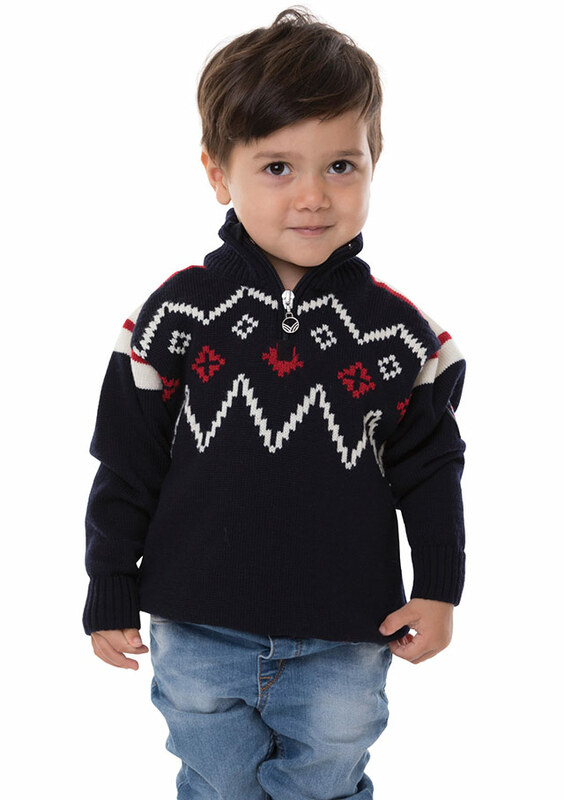 Dale of Norway SEEFELD KIDS Sweater available at Jourdain.